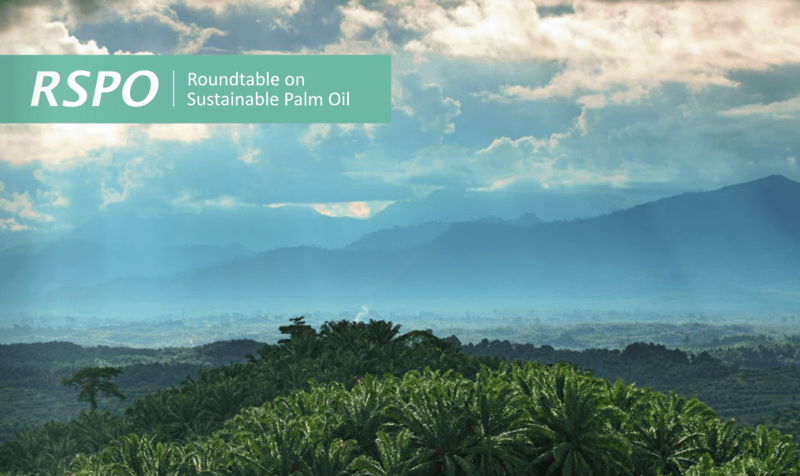 Roundtable on Sustainable Palm Oil (RSPO) was established in 2004 by green organisations (e.g. WWF) in response to the negative consequences of the overwhelming global demand for palm oil. Palm oil is the primary cause of deforestation of tropical rainforest in Indonesia and Malaysia. RSPO is a non-profit member organisation and a certification scheme, and its members include NGOs, institutions, purchasers, and manufacturers. Together, the members have worked out a certification standard for manufacture and traceability, guaranteeing that the palm oil production meets environmental and social principles and criteria. At Save the Orangutan, we are interested in cooperating with RSPO because all actors in the supply chain of palm oil production are represented, and because of the certification scheme and criteria. Certification after the RSPO standards, even on a smallholder level (smaller plantations), has reached quite far on a global level (19% of the total production of 2018). The general certification has spread widely in Indonesia and Malaysia, the biggest production markets (85% of the total palm oil production). In these two countries, RSPO has gained a firm foothold as a relatively reliable and global standard. However, there is still much to be done to establish a new sustainable norm for the industry. Additionally, the demand for sustainable palm oil has increased among its purchasers. However, more manufactures and purchasers still need convincing to apply for RSPO membership and most importantly, to meet the criteria of said membership. The criteria of the RSPO certification have a great impact on the orangutans because they help structure and determine how oil palm plantations are to be managed and what considerations to protect nature and wildlife are to be taken in their operation. This is crucial as more than 75% of the remaining wild orangutans on Borneo live in areas that are not officially protected. Palm oil has a bad reputation because the production has had and still has negative consequences on the environment, communities, and wildlife. However, the production in itself and palm oil as a product is a better alternative to similar resources. In fact, the palm oil production is much more acreage effective than other vegetable oil crops. Should palm oil be replaced by another kind of oil (soya or coconut for instance), even larger areas would have to be converted. A massive boycott of palm oil could thereby backfire and result in even more deforestation. Additionally, ceasing palm oil manufacture could lead to decreased wages for millions of people, which can have severe consequences for a low-income country such as Indonesia. Last but not least, a European boycott could result in palm oil purchasing on other markets, on which sustainability is not a priority. Seen in isolation, the biggest problem with palm oil is that the plantations have been and still are established and expanded by means of deforestation at the expense of precious rainforest. Therefore, the aim has to be ensuring a sustainable production without negative consequences on forests or wildlife, including orangutans. Since its establishment, RSPO has published and revised principles, definitions, guidelines, and licensing criteria 3 times (2007, 2013, and 2018) in the so-called ‘RSPO P&C’. Like its predecessors, the revised RSPO P&C 2018 document has gone through a longer development and consultation process and was adopted on the general assembly by a big majority. The recent P&C of 2018 was received positively despite the need for further development within the industry. The positive elements of the P&C are reinforced criteria, specifically concerning ‘no deforestation of areas worthy of preservation’, ‘no new development of peat forest’, and ‘increased focus on smallholders’ and local communities’ rights to and requirements of consent’. At Save the Orangutan, we follow the development of RSPO closely since its efforts have an actual impact on the development of the palm oil industry, and thereby the future of the forests and the orangutans.